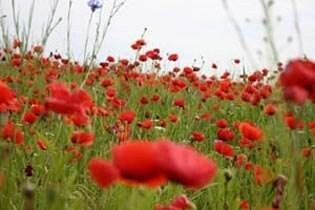 The traditional Remembrance Day service and parade look place on Sunday 14th. As a result of the conflicts in Afghanistan and Iraq, the largest number of residents for many years assembled in St John's Church for the two minute silence at 11 am. Duty, Honor, Sacrifice is the driving force behind all who choose to serve in the armed forces. They are what cause young men or women to forgo the expected and instead choose the unexpected. To choose danger instead of safety, sacrifice instead of gain, or hardship instead of comfort. In other words, by choosing duty, honor, and sacrifice the young insure a brighter future for everyone. Many have asked why it is almost always the young and not the old who choose this path? Or why it is those who have so much to lose chose to give? The answer lies not in the generation who are now being asked to serve but instead in the previous generation who served. It is because those men and women, in the past, chose to step-up and take their place by choosing service and sacrifice over safety and security, that in the future there will always be others. For that answer we need to go back to Creation itself; where God, looking out over all that He has formed says, “It is very good.” From this unique beginning humankind was fashioned into the image of their Creator and collectively, thru His unwavering resolve, become; ‘living souls.’ It is this wonderful gift that both changes what came before and equips all with a willingness to love, to be loved, and to freely give of themselves for the betterment of others and when it becomes necessary to sacrifice everything for what is “Right”. Thus making certain that all may experience this “Rightness”. What must not be lost, in our search for this ‘Sacrificial Spirit’, is the fact that it is from God and He alone does it come! Duty, Honor, Sacrifice, is what fired the spirit of sacrifice in past generations; may it always be found in every future one. I am trying to discover information about Norman Parkes please. As a companion to the book The Boys of Shakespeare's School in the First World War published in May, I am preparing a book on those boys who died during the Second World War. One of these was Norman, who lived at 197 High Street in Henley-in-Arden where his father Herbert had a stationery shop. Norman joined the Army in September 1940. Then the mystery begins. Although his army records state that he was a member of the Royal Army Pay Corps, the RAPC has no history or record of him. His record says that he was based in Leamington, but there was no RAPC unit there. Then in December 1944 he was moved to Hertford Hill Sanatorium in Hatton where he died on January 8 1945 aged 25. The Warwick Record Office shows that he was buried in Henley-Beaudesert graveyard - they list a grave-plot number. There is no record of him there and no such grave number on the churchyard plans. Norman is however commemorated on the memorial plaque in the church. But where is he? I would be delighted to learn whether any of your readership has knowledge of the Parkes family - they appear to have been in the town for many years - and Norman's mother survived him. The Archive is based in Pedagogue House. 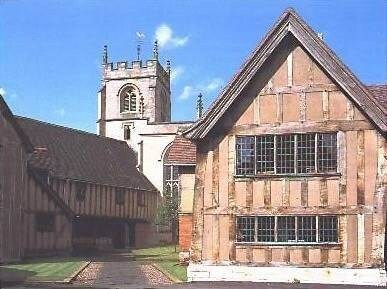 First built in 1427, it is the oldest schoolroom in England, pictured above. In our last edition, Henley NEWS recommended its readers to vote 'NO' in the JPC's town poll about acquiring the Croft Car Park. This week, we publish a letter from a highly respected business person in our community which explains why there is concern among many members of the town about this proposed venture. What actions have the Joint Parish Council taken to fight the decision by Stratford? 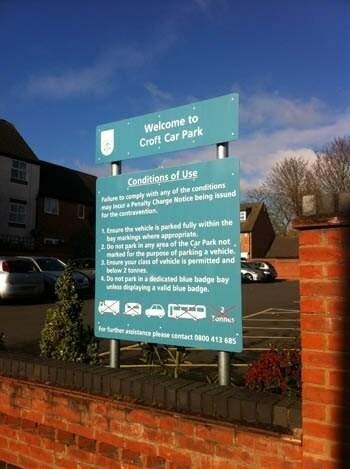 Stratford committed to managing the car park over 15 years ago and this commitment is within the original approved planning application for the Croft. I do hope the Parish Council hasn’t just rolled over on this but instead gave it a good fight. We don’t know. What is the current usage of the car park? Is it occupied by day workers or shoppers? What impact will a pay for parking facility have on the already challenged retailers and restaurants within the town? Will the parking permits we have already paid for allow free parking? If the car park is outsourced will the selected vendor pay any percentage of profit back to the community? Are the car parks in Stratford outsourced or managed by the Council? If managed by the Council does this allow us further reason to insist we fall under the same guidance? If Henley is forced to outsource to a pay to park vendor, will this also affect the car park at the Surgery? If so, there would be no free parking within Henley, which could have dire results on local businesses. I will send in a vote, but it will not be based on any reasonable understanding of the issues, and thus is not worth the effort of walking down the High Street to deliver it! The Parish Clerk was asked for a comment about this resident's observations but no response was received by the time of publication. 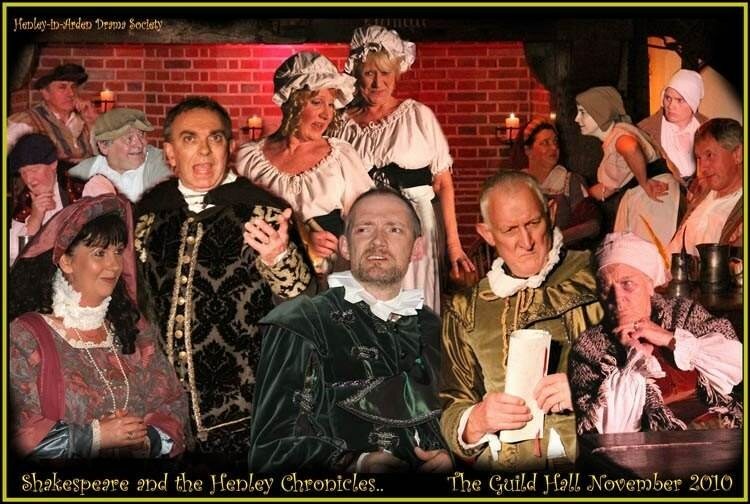 Henley Drama Society, HADS, presented their latest production “Shakespeare & the Henley Chronicles” in the Guildhall last week, the first full length play to be held in this historic building. 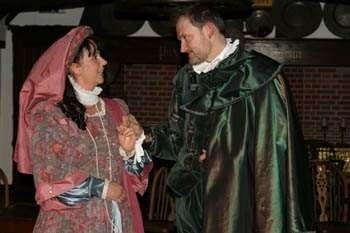 The arrival of the “dark lady” Perchia de Belmont who has walked all the way from Warwick to see Jacob Armlock, the local moneylender, is comforted by Mary, the landlady, and she decides to let her have a room for the night. It seems that Perchia’s father is in Warwick Debtors' Jail and is in “hock” for his land in Beaudesert, and a meeting is set up for Perchia to meet Armlock the next day. Perchia is ably played by Sheena Ison and Armlock, the Jew, a convincing performance by Phil Walker. Eventually he agrees to the deal, after some deliberation, but Perchia is innocent of his manipulative reputation. 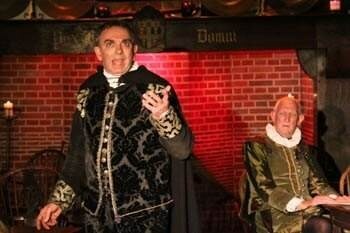 Along comes Shakespeare, and attracts Perchia with his wit and complimentary dialogue. 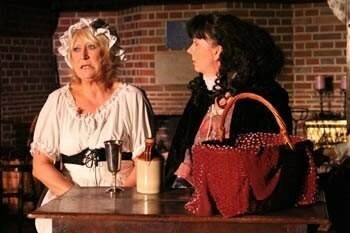 I must mention Beth, played by Bev Walker who is charmed by Shakespeare, but chastised by Mary, who tells her, after all, “she is a married woman”. 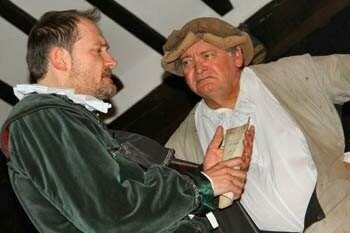 Will is informed of Perchia’s demise and employs a lawyer, Gobbo, to intervene in the purchase of the land betwixt St. John’s and St. Nick’s in Beaudesert, and to represent Perchia in the deal with Jacob Armlock. Things get worse when the payment is delayed and Armlock demands “a pound of flesh” as a penalty. Here the “Merchant of Venice” theme is played out and Gobbo tricks Armlock into a corner. All's well that ends well for the distraught Perchia! The Lawyer insists that the land be used for the locals to enjoy and even can be used by the actors to present plays outdoors. 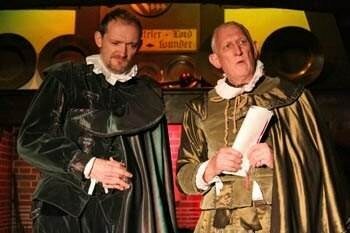 Gobbo hints to Shakespeare that even he could be a character in one of his plays! William continues to enchant Perchia with his stories, and how he intends to pursue his career in London, and maintain a more “global” view. 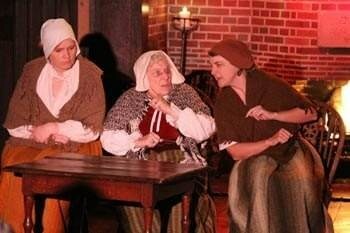 The three witches re-appear to end the play and disappear into the night to the crackle of thunder and lightning. 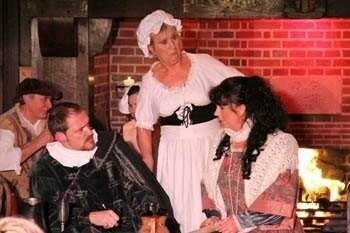 Mention must also be made to the supporting actors playing the locals, adding to the hustle and bustle in the inn, and the backstage staff, rarely seen, but who play an important part in the staging of the production. 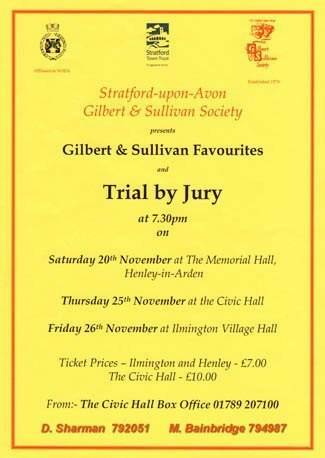 The people of Henley would have been surprised at the real treat in store awaiting them at the Guildhall last week, and the glimpse of what might have been when the Bard came to their town before he became famous as a son of Stratford-upon-Avon. 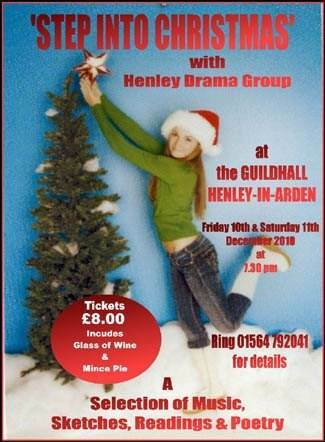 Henley Drama Group and the Director, Ray Evans, should be proud of this production and who knows there may be a sequel! Those who gathered at the Hub@Henley were struck by the irony of opening the centre for the long planned Open Day designed to celebrate and promote the successful work of Henley’s youth club and at the same time hearing announcements that the Youth Service was under threat of closure from cuts that Warwickshire County Council were considering. It would have been reasonable to expect that this well attended event was full of doom and gloom, quite the reverse. The lively youth leaders led activities from Face Painting to Arts and Crafts, from Reflexology to Pool and table tennis. Members showed how they used the computer room. Residents could find out the type of work that is carried out both in the youth club and out in the community. The Youth Centre visitors were given an opportunity to meet Youth Club Members and their staff and to see around the centre. Most ended their visit with some enjoyable tea and home baking. 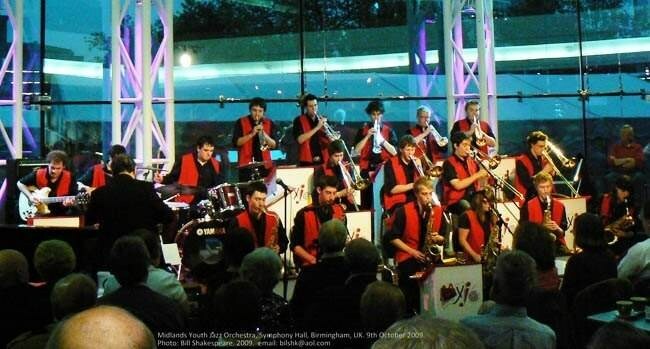 During their time at the centre, visitors discovered that Henley is one of the most successful youth clubs in South Warwickshire with members achieving more award bearing certificates for their activities than other clubs in the area. Everyone agreed it would be a disaster for the members and for the town if the centre had to close. Many of those who enjoyed the session agreed that they would support any efforts made to keep the centre open. Much was made of the “Big Society” and how it might be possible for Henley to take over its own centre and work to provide a continuing valuable service for our young people. The Staff and members are to be congratulated on a splendid open day. I invite anyone in Henley who would like to support our campaign to keep the centre open to complete the supporters form below. The youth club meets Tuesday, Wednesday & Thursday from 7.00pm – 9.00pm in Term time. On Monday morning we went to Year One. There was a lady that came in. Her name was Sue. She came to teach us about lots of different old toys. Then she pulled out some helpers to tap the smart board. 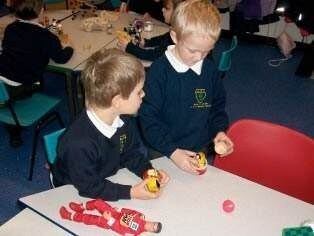 We learned about different materials that toys were made from. Toys were made from china, wood, plastic, metal and wool. After she had finished talking, we were allowed to play with the toys. I played with the marching soldiers and the skipping rope- those were my favourite things. Then we went back to the carpet and I became a helper. I went out to the front and helped to tap the smart board. I had a really good time. I learned a lot about old toys. The pupils of St Mary’s School have been taking part in Operation Christmas Child. Operation Christmas Child is a charity run by Samaritan’s Purse which distributes shoe boxes filled with Christmas stocking items to orphanages in Africa and Eastern Europe. During an assembly the pupils of St Mary’s were shown video clips explaining the work of the charity, the young children receiving their boxes and the joy on their faces when opening them. It was very important the pupils understood the work of the charity and that this is one child’s entire Christmas in a box. Each shoe box goes on a remarkable journey, involving children and adults wrapping and packing, an army of volunteers checking and preparing, overseas partners delivering, and the children who need them most receiving and experiencing God’s love at Christmas. In the true spirit of Christmas the pupils of St Mary’s managed to donate a fantastic 50 shoe boxes, which is a tremendous achievement considering they are such a small school. Pictured here are Jack Edwards, Daisy Freeman, Mollie Rose, Charlotte Taylor, Olivia Freeman, Hannah Terry and Elliot Saltmarsh with the boxes before they were taken to the collection point for distribution overseas. Henley Antiques Centre is holding a Special event for local residents on Friday 26th November, Saturday 27th November and Sunday 28th November. The Centre will be open on the Friday from 10am until 8pm with a glass of wine available to visitors between 5pm and 7.30 pm (how about coming along after visiting the Italian Market on the High Street?). On Saturday and Sunday the Centre will be open from 10am until 4.30pm and 11am until 4pm with a glass of wine available for visitors between 10am and 2pm on each day. The Centre is at 92 High St, Henley-in -Arden - through the archway to the left of Henley Bakery opposite Lloyds Bank, telephone number 01564 795979. 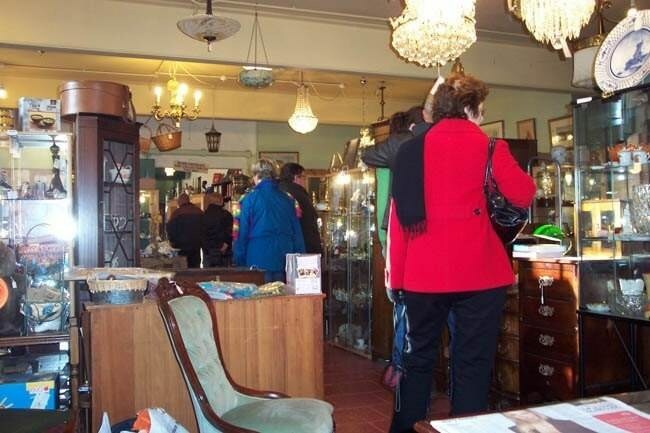 The Antiques Centre caters for all tastes and pockets with an extensive range of antiques, contemporary and reproduction quality furniture, paintings and prints, ceramics, porcelain, lamps, lighting, jewellery, mirrors, and a wide range of collectables and decorative arts. Over the 3 days there will be a wide range of offers available. 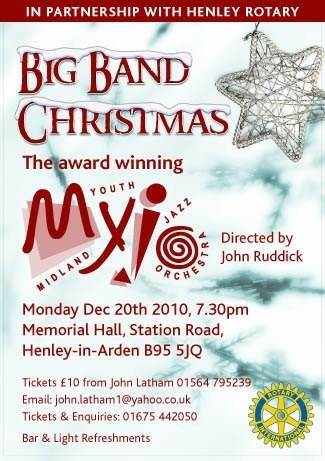 Come along and see if your Christmas present problems can be solved. 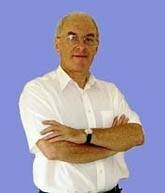 Our Resident experts will be available to welcome old and new customers alike. The Annual General Meeting of The Manor of Henley-in-Arden Court Leet and Court Baron was held on 10 November 2010 at the Guild Hall, Henley-in-Arden. The Town Crier, Gordon Trinder, declared the Court open and following prayer by the Chaplain John Ganjavi, honorary Burgess Derek Sharman, on behalf of the Lord of the Manor, Robin Hardy-Freed, welcomed the many distinguished visitors, members of the Court and jurors. The Court was supported by the attendance of the Mayor of Warwick Cllr Mike Kinson & Mrs Edith Kinson, the Mayor of Stratford-upon-Avon, Cllr Shelagh Sandle, the Deputy Mayor of Alcester Cllr Lennox and his Consort Cathy Cumberbatch, the High Bailiffs of Warwick, Roger Meredith and Bromsgrove James Merridith accompanied by his Reeve Martin Connolly, High Bailiff and Low Bailiff of Alcester Nick Dearling and Steve Payne and their consorts Sham Dearling and Fiona Payne and Freeman of England & Wales and Master of Coventry Guild Derek Austin accompanied by Eileen Austin. After reading the minutes of the last AGM, the Steward of the Manor, David Lodder made a number of announcements, members of the Court then gave their reports. 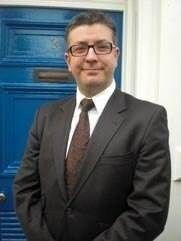 Former High Bailiff Dr Douglas Bridgewater reported on the significant progress made on the Guild Hall Garden Project; Ale Tasters Andrew Gardner and Barry Tulloch reported on the arduous duties they had performed, not only holding tastings at local hostelries but supporting other Courts in their tastings. Brook Lookers Graham Smith and Dawn Leech reported that the river was free flowing but unlike 2009, the duck race had to be ‘assisted’ by raking the water. Butter Weigher Fred Dowling reported on the high quality of goods he had sampled and Hayward Jonathan Dovey reported that the bounds had been recognised and a good harvest was noted. Town Crier Gordon Trinder reported a very active year including attending a garden party at Buckingham Palace and achieving sixth place in the annual Town Crier competition held at Alcester. Former High Bailiff Ray Holding reported on the activities of the Heritage Centre but, due to the demands of these duties, it was with great sadness that he announced his retirement from the Court. 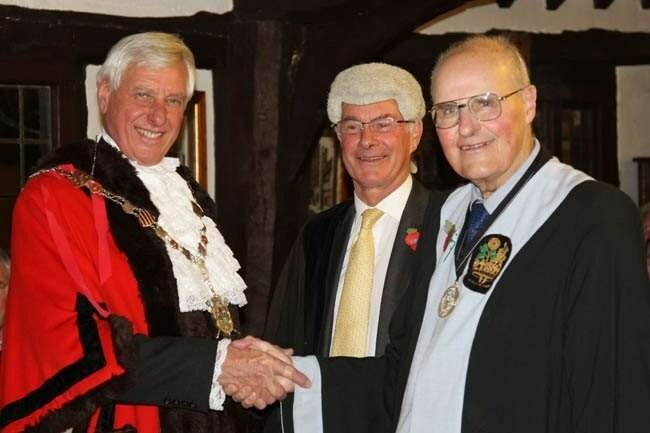 Finally High Bailiff Roger Sutton reported on his year with a huge effort made to support and promote Henley-in-Arden, including performing in excess of 100 formal duties, both in the Town and throughout the county. Honorary Burgess Alec Halliwell then gave thanks to the High Bailiff for the manner in which he had fulfilled his duties during two years as High Bailiff. The Steward then called the roll of Jury and said that he was particularly pleased to note that 26 new jurors had been recruited this year. The jurors retired and John Ambler was elected Foreman of the Jurors. The jurors, having been sworn in, elected the Officers of the Court for the ensuing year. 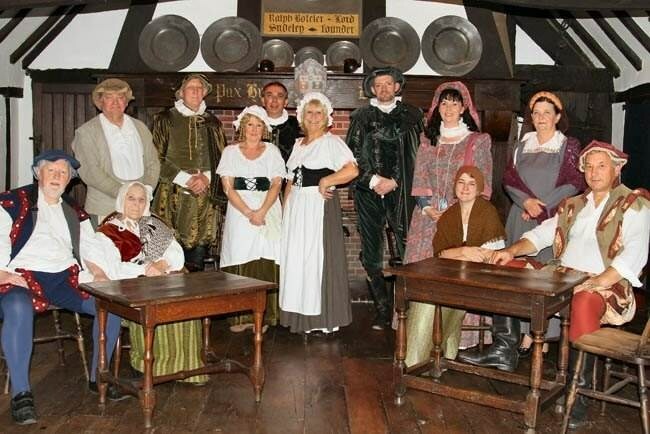 The jurors then returned to the Hall and the High Bailiff, John Rutherford, was sworn in and invested with his Chain of Office, after which the other officers were appointed and invested. 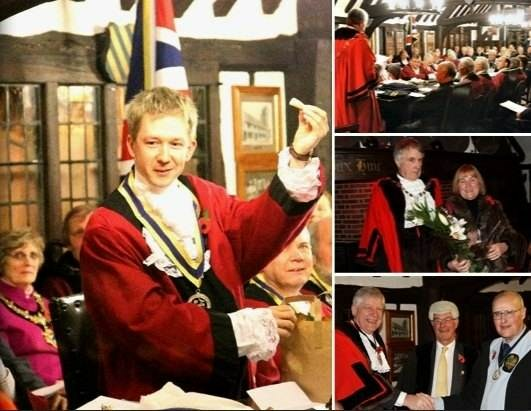 The full list of officers for 2010 can be seen on the Court Leet website. John Rutherford gave thanks on behalf of the Court and then had the very pleasant duty of investing Immediate Past High Bailiff Roger Sutton with a Collaret. The Steward, David Lodder, was pleased to nominate Gordon Trinder as Town Crier, after which the High Bailiff nominated John Ganjavi as Chaplain to the Court. 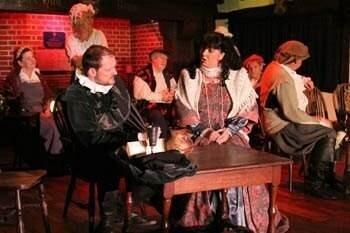 The Town Crier closed the Court, after which all those who attended were invited to join the Court for refreshments. with the Steward of the Manor, David Lodder. Henley Heritage Centre has now closed its doors for the winter after what has been a most successful season. The Centre attracted well over 4000 visitors which is almost 6% up on 2009 and visitors came from all over the world. Trustee Ray Holding said “The figures are most encouraging for the team of over 70 volunteers who work very hard to ensure the Heritage Centre’s success. 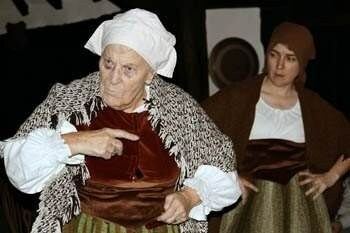 The Centre offers a unique glimpse into the history of a medieval market town and visitors have been impressed with the many exhibits on show and in the way they are laid out and explained. People frequently call in seeking information about their ancestors and the Centre is often able to help them, which is most rewarding. A recent example was a visitor looking for information about a distant ancestor who had built, at his own expense, a triumphal arch across the High Street to celebrate the end of the Napoleonic Wars two hundred years ago. Retired County and Parish Cllr George Atkinson told a meeting of the Joint Parish Council on Monday 1st November that he disputed the cost comparisons between Henley and other similar sized parish councils. Cllr Atkinson reckoned that the 2001 census for Henley and Beaudesert was 4,176 residents and he therefore stated that the whole report should be dismissed! 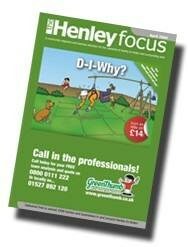 In fact, the correct figures had been used in the Henley NEWS report. Cllr Atkinson was quoting the population for the 'Henley Ward' which includes the parish of Wootton Wawen and applies to the District Council election area. "It appears that the JPC don't even know how many residents they represent. 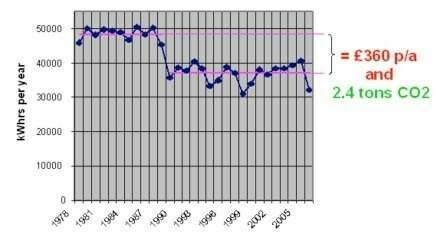 Does this mean the statistics used in the recent JPC Newsletter were also wrong? 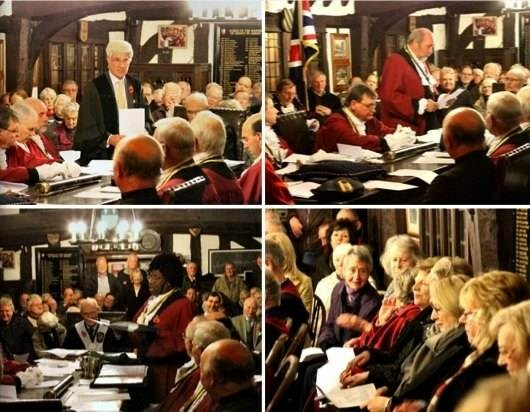 ", asked Mike Willmott pictured right, who is Chairman of Democracy 2012, the group which is campaigning for a change of parish councillors. 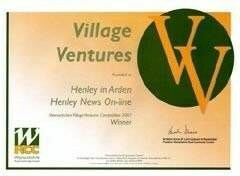 It has been reported to me that the figures contained in my letter comparing Henley and Beaudesert with other more efficient Parish Councils has yet again been dismissed as a result of retired Councilor Atkinson quoting a population figure for the Henley Ward in order to rubbish my correct figures. The Henley Ward includes Wootton Wawen and has 1,246 more residents than the parishes of Henley and Beaudesert. Shame on you Councillors for not knowing the correct figures, which are freely available from the 2001 census website and even greater shame that you have not answered my reasonable and legitimate questions. Come on, stand up to the plate and give a reasoned answer to a set of legitimate questions. The 2001 Census figures are available on the Warwickshire County Council website. Henley WARD 2001 Census results for the District Council WARD area. Henley Parish 2001 Census results for the Parish Council area. Beaudesert Parish 2001 Census results for the Parish Council area. The combined populations of the Beaudesert and Henley-in-Arden parishes are 2,930. Wootton Wawen 2001 Census results for the Parish Council area. Tanworth-in-Arden, which has a similar population with 3,017 residents compared to Henley’s 2,930, (2001 census), raises a precept of £45,500 compared to Henley’s £82,650. 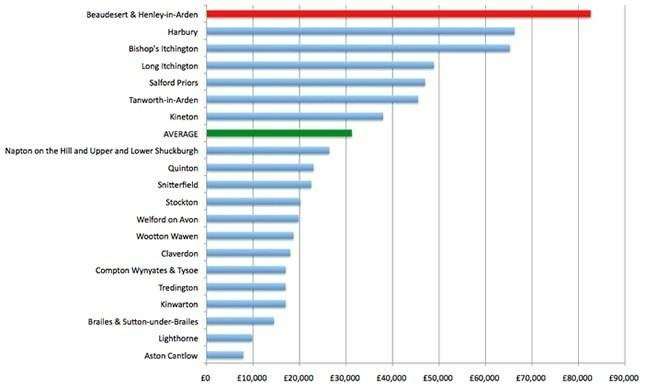 Tanworth’s cost per 1,000 residents is £15,081, in Henley the cost is £28,152 per 1,000 residents. Why do Henley residents pay 86% more than Tanworth residents? Many of the JPC’s activities are excessive, such as having 2 council meetings per month and 7 sub-committees. The norm appears to be one council meeting per month and one sub-committee. Why can’t Henley do the same? 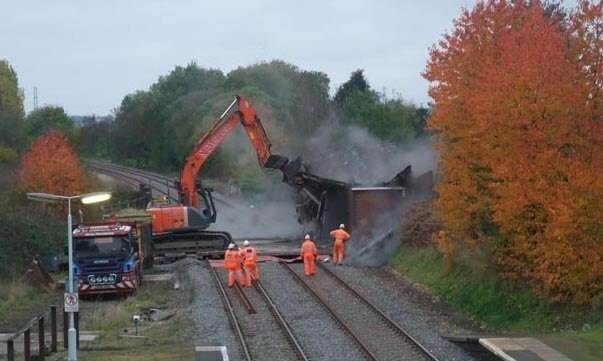 Henley Signal box is no more. Demolished on the morning of Friday 29th October. 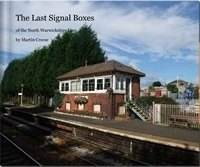 I have compiled the best of images into a book The Last Signal Boxes, which covers Shirley, Henley and Bearley signal boxes. 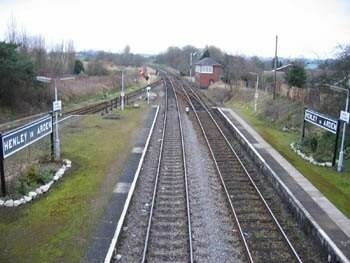 Originally it was done as a thank you to the signalmen who manned the boxes for their hospitality in allowing and welcoming me in my visits. 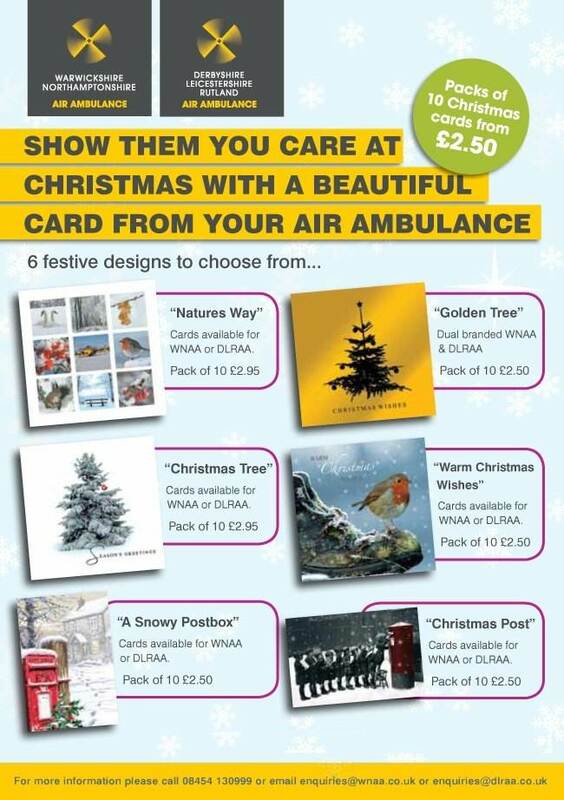 However so much interest has been expressed I've made it available through the website. Click on the link above to view. 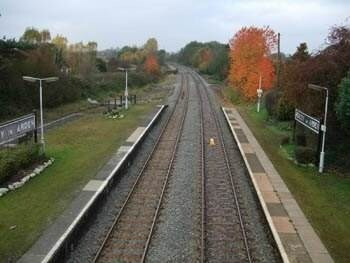 The book features the signal boxes at Shirley, Henley-in-Arden and Bearley Junction with lots of interior shots plus the signalmen who had the pleasure of working these boxes, plus also the signals themselves and the trains, both normal service and Vintage Trains "Shakespeare Express" that passed them. 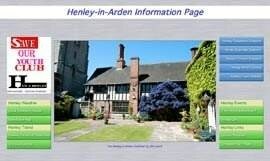 Freemasons have been associated with Henley-in-Arden for over two hundred years. Our photo shows Members of DeMonfort Lodge chatting in the Guildhall prior to a Freemasons' meeting. In 1791 the Masonic governing body issued a warrant allowing the formation of St. Johns Lodge, its base being the “Talbot” on the High Street. In the intervening years the Lodge, along with many others, transferred to the main masonic building in Birmingham and it was not until 1927 that a group of Masons proposed a new Lodge in the village. Being required to adopt a different name the Lodge called itself 'DeMontfort', after Henley's first Lord of the manner Thurston de Montfort. 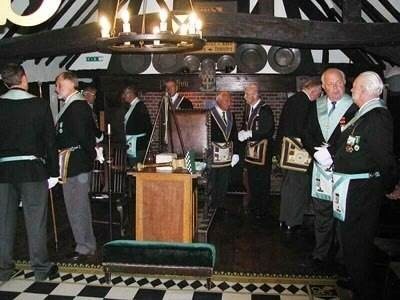 Its first meeting was held in the Guild Hall and the Lodge continues to meet there until the present day. The link between the Lodge and Guild Hall is a close one, indeed our records show that at the turn of the last century, when the hall was used as a home and business premises, one of the Lodge members had been born there. The majority of DeMontfort members still live or work locally. De Montfort lodge is part of the Masonic family that stretches worldwide. Along with other Lodges, it forms the masonic province of Warwickshire, with its HQ situated in Edgbaston, Birmingham. This in turn is under the guidance of the Grand Lodge in London. Grand Lodge has further links internationally. Freemasonry still remains a mystery to most people. In an attempt to counter this in recent years, there have been moves to make Freemasonry more accessible. In answer to what is it for, it's true to say Freemasonry is not for anything. Freemasonry has no grand designs, apart from ‘being happy and communicating happiness', as we say in our ritual. Freemasons are forbidden to discuss religion or politics in Lodge and so men from widely different backgrounds and with very different interests can meet as friends in Freemasonry. Freemasonry provides companionship and social activity for its members and, often, for their families. It emphasises charity, which extends beyond its own people and their dependants. It teaches, by means of ritual, morality or the practical basis of living in civilised society. Brotherly Love, which means we show tolerance and respect for the opinions of others and behave with kindness and understanding to all. Truth, which demands that we strive for high moral standards in ourselves and others. It is law abiding, moral and legitimate. Whist this may sound a little intense, its also worth pointing out that we do our very best to enjoy ourselves in the process! The members of DeMontfort lodge are proud of their association with Henley and masonry and as such are keen to expound the virtues of both. 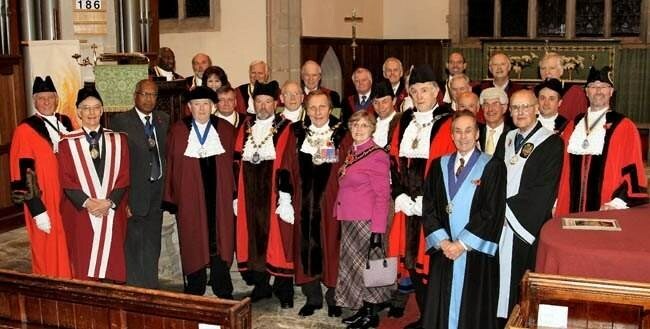 It is hoped that Masons will continue to meet in Henley for the next two hundred years at least. For one night only, The Shakespeare Hospice are hosting a spectacular designer clothing and accessories sale at Henley in Arden Tennis Club. This unique event takes place on Wednesday 24th November from 5.30pm – 9.30pm and admission is free. Some of the designer clothes will be modeled on the night. 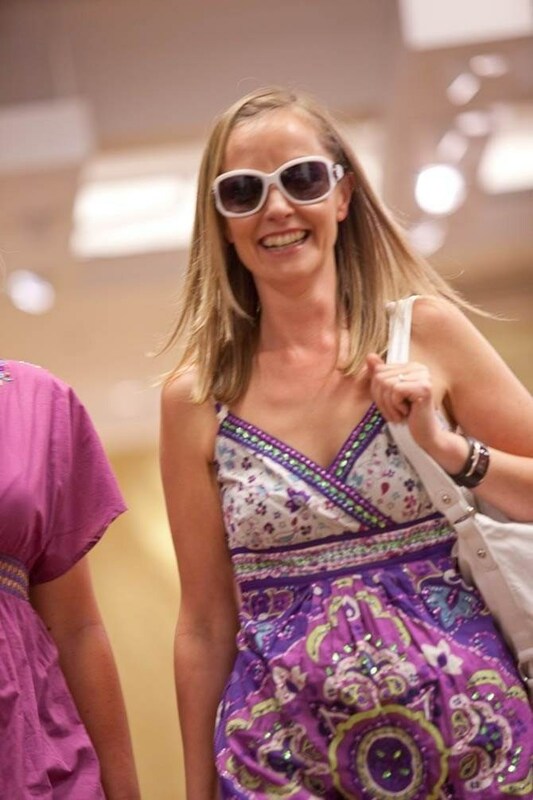 In addition there will be designer jewellery, handbags, shoes, accessories and Christmas gifts on sale. 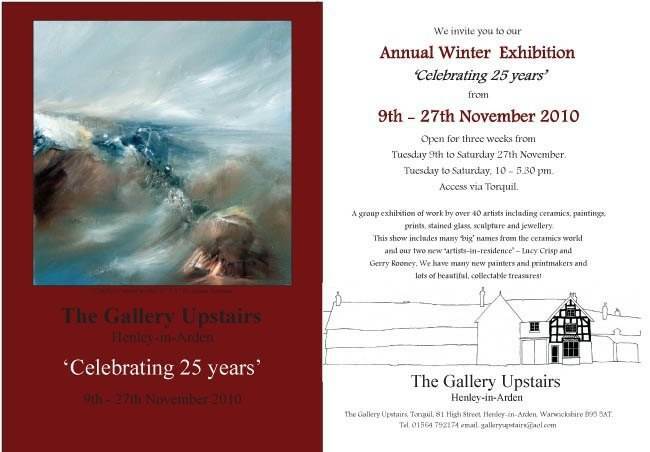 Refreshments will be available so come along and make a night of it, snap up some unique pieces and start Christmas shopping! For further information contact our retail manager Adrienne on 01789 266852. Henley-in-Arden, oh what an interesting heritage you have, a tiny bit of which sits nestled beside me, on the table, whilst I write to you with my most sincere request for your knowledge as to life, as it was, with wandering geese, ducks, barking dogs and stomping horses, in your cobbled and unlit High Street in the year 1792. I ask of you, who was Mr. J. Telford who walked the High Street amongst those geese, ducks and barking dogs, on the 27th day of August 1792, which I am informed was a Monday? My good friend beside me indicates that Mr. J. Telford was a Freemason of your Town, along with a 99.99% certainty that our Mr. J Telford was a businessman primarily engaged in the trade of being an Auctioneer and probably a lot more besides. The only information that I have found to prove that he shared the planet earth with us is a reference to him having been issued a certificate, at the huge expense of an annual one guinea to flour the hair of himself and his fellow residents, a true fact from your records ! It would appear that the habit of flouring the hair, which was causing a serious shortage of flour for baking bread, was quite common practice for that period. You had some funny folk down your way! My gran and granddad were a guinea better off, they put their flour in their loaves. Mr. J Telford purchased the certificate for three years, unfortunately, the record did not have residential details, if only, it could have saved all of this trouble! So he was a Freemason, an Auctioneer, a trader in flour for the head. It would seem that he was involved in the first formats of Banking, of which there is little known. 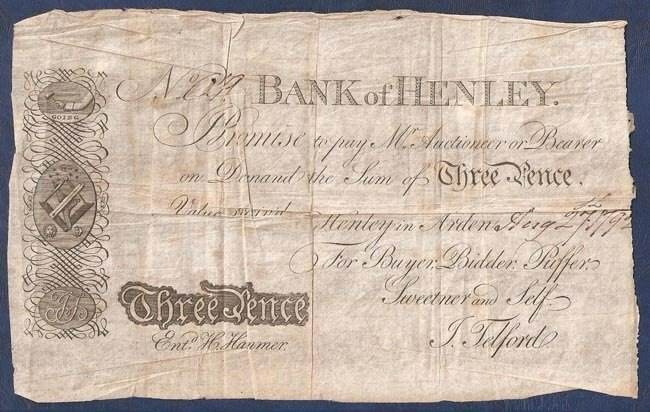 Prior to established Banking, which came to you about 1810, it was common for trades people to lend and borrow issuing paper as a security to the future. Mr. J Telford appears to have issued these notes for at least a couple of years having located a second note, for the year 1795 also for the sum of three pence, so he was bringing in a few pounds! It was progress on the IOU and proceeded the issuing of promissory Bank notes. It would seem that at least two people never had their three pence returned to them, which leads us to question was it, is it wise to deposit your silver or gold for a piece of paper? I wish to introduce to you for inspection at this point to my friend for the past year, The Arden Note – what a beauty! The Arden Note is complete, measuring 8” x 5”, and has the weight of a very fine tissue paper. So how did it survive? It was pure luck. Having been found in some papers during 1911, it would seem that it was tucked away yet again, appearing only last year when it was found amongst some papers at a Solicitor's office whilst the offices were being decorated. It then popped up on eBay and I became the proud owner of a three pence note. Paying far more than the three pence worth ! I have found the Arden Note truly, truly fascinating, for what it was, for what it represents in history, especially that it passed from Mr. J. Telford's hand to one of your former town folk, to another, then another, and another, finally to me, I’m holding it now, all 218 years of time. If only, if only, I could pop back, Monday the 27th day of August 1792 on your High Street and say, "Good morning Mr. Telford". Needs must, we part company now as the Arden Note is back on eBay for someone else to share the experience 380285499557. Provision of JPC office and meeting rooms for JPC Committees. Contribution to general and water rates for the Memorial Hall and playing fields, together with cost of rubbish collection and routine maintenance at playing fields. To replace containers, purchase summer bedding plants, maintain watering machines, insurance for fire tender drivers and public liability insurance for volunteers. Increased coverage of NEIGHBOURHOOD WATCH signs and maintenance of mobile telephone purchased for Community police officer. To contribute towards running costs. The provision, maintenance and running of the lights. Contribution towards maintenance and running costs. Contribution towards additional war memorial. Note 3: The Parish Council will give priority to applications from organisations who have identified a specific project over a fixed timescale. Grants are not usually considered for routine day-to-day running expenses such as heating and lighting. Applicants who wish to be considered for the latter must demonstrate that they have no other source of funding in which to generate the revenue requested in the grant application. A councillor claimed that this rule change brings the JPC Grants rules into line with the County and District Councils' grants policy. A spokesperson for Democracy 2012 said, "There is no logic which dictates that the JPC grants’ policy should be a clone of the County and District policy. In fact, there is much to be said for the parish council operating a different regime." The JPC Standing Orders do not permit the parish council to reconsider a decision for 6 months, so it looks like many organisations may have to live without a JPC grant for the first time in living memory. Possible effects could be a stopped town clock on St John's tower, increased crime because the PCSO has no mobile phone, no Henley in Bloom flowers, no christmas lights in 2011 and no office for the JPC. Alternatively, the JPC will have to do what they have done in previous years and fund running costs, in which case why did they change the rules? Claverdon travelled the short distance to local rivals Warwickians to attempt to maintain their 100% record in the league. Injuries and absenteeism saw a return to the starting line up for Doz Ward, Sam Horswill and Rob Horsfall. With Warwickians short of players it meant that they had to start the game with only 13 men and the advantage soon told. A misplaced pass saw the ball spilt and winger Matt Blay used some clever foot work to score under the posts for the first points of the game, Ian Wyllie converted. 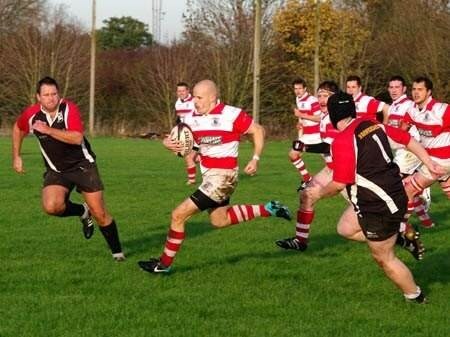 It wasn’t long before Claverdon scored their second try of the game through winger Tom Johnson. 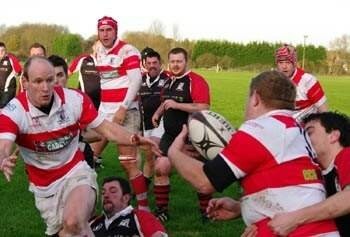 A well drilled lineout saw the ball worked through the hands to Johnson who outpaced his man to score in the corner. Wyllie missed the touchline conversion. For much of the rest of the half, Claverdon made hard work of breaking down the tough Warwickians defence and could not capitalise on their vast amount of possession. With Warwickians now back up to 14 men they pressed Claverdon back and the visitors gave away a cheap penalty which the Warwickians fly half kicked from distance. With 10 minutes of the half remaining, Claverdon secured a great ball from a scrum courtesy of the front three of Chris Lowe, Dave Carruthers and Steve Grimsley. Wyllie shipped the ball out through the hands to centre Tom Bennett who made no mistake to jink his way past several defenders for a converted try under the posts. With the second half only two minutes old, Sam Horswill secured the bonus point with a strong break from flanker to crash over under the posts for Wyllie to convert. This took the pressure off the lions and they then started to play the flowing rugby that they have been producing all season. Tom Bennett recorded his second try of the day when Pete Richards found him in space for Bennett to cut back inside to beat his opposite man and touch down only for Wyllie to miss a fairly straight forward conversion. Steve Grimsley was next to put his name on the score sheet with a superbly worked lineout and rolling maul from 10 metres out which Grimsley found himself at the back of to continue his impressive scoring record this season. Doz Ward took over the kicking duties to put the conversion between the posts. From another solid scrum, Claverdon again broke down the Warwickians' defence when Ward shipped the ball to Bennett who used his pace to score an identical try to his second by cutting back inside to beat his opposite man and touch down under the posts; Ward converted. With the victory now firmly secured, Claverdon introduced Conor Smith and Dave Birch to the proceedings to freshen things up and rest key players. It wasn’t long before Smith made an impact when he found himself in space and jinked his way past several defenders to score another converted try. Warwickians were finally restored to their full quota but it was too late to affect the game and Claverdon still had time to record more points. From another Horswill break the ball found its way to Chris Edsall who made no mistake to crash over under the posts for Ward to duly convert. With only minutes of the game remaining, the lions recorded their tenth and possibly best try of the game. Great offloading out of the tackle found Conor Smith in space for him to loop a pass straight in to the hands of prop Chris Lowe who side stepped the full back to record his first try of the season. Doz Ward maintained his perfect kicking game to give Claverdon the extra 2 points. Claverdon have a break from league action this weekend but will be looking to maintain their winning ways in a friendly, details to be confirmed. 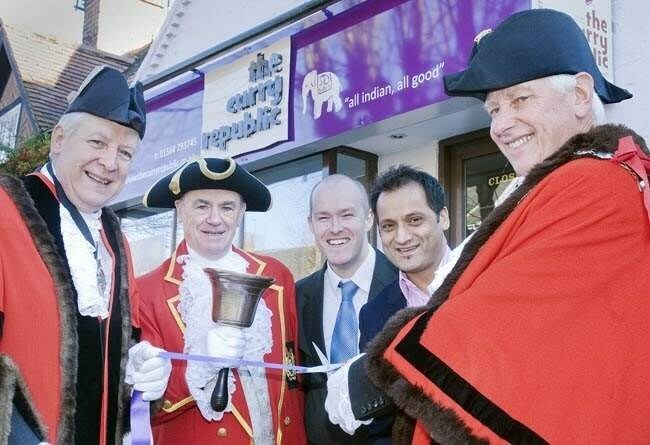 Paul Squire of Bywater Investment Group and Bilal Ahmed, The Curry Republic. 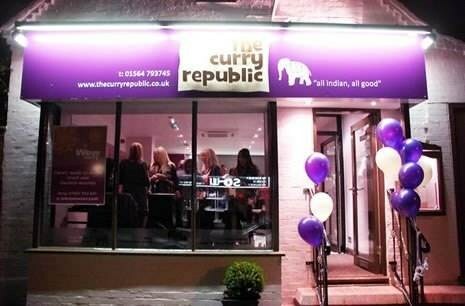 The first in a proposed chain of similar outlets across the region, The Curry Republic offers fine Indian cuisine at affordable prices – either delivered or prepared for collection – though in the Henley outlet there is also an intimate seated restaurant area. “We want our brand to become a household name and for customers to know exactly what they can expect – quality food with a consistent taste – wherever they buy it,” said Bilal Ahmed, CEO Bywater Investment Group and proprietor of the new venture. It is an ambitious project but we are confident it will be a success,” said Bilal, whose family ran a successful Indian restaurant in Birmingham for more than 20 years. “There are so many chains for other food types but nothing really recognisable for Indian cuisine. We want The Curry Republic to be that name,” he added. To celebrate the launch of The Curry Republic we're offering a meal for four people including a bottle of wine. The tempting menu, kept to around 30 dishes to ensure consistency, includes starters such as Mach Biran (white fish lightly spiced with turmeric) and Paneer Tikka (soft Indian cheese marinated with peppers, tomatoes and onions) and main dishes including Zingha Nach (stir fried tiger prawns marinated with garlic coriander and spring onions), Saag Gosht (tender lamb with baby spinach) as well as ‘old favourites’ such as bhuna, madras and balti. To be in with a chance of winning this competition all you have to do is answer the following question: Where in Henley-in-Arden is The Curry Republic located? The Curry Republic is scheduled to open two more outlets in Shirley and Birmingham city centre in the coming months and is setting up online ordering facilities. 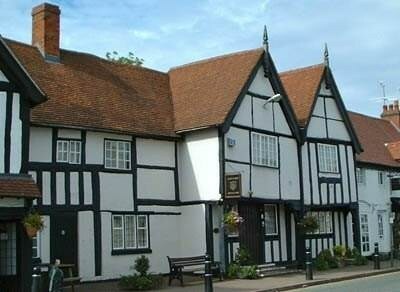 Where in Henley-in-Arden is The Curry Republic located? An analysis of Companies House data shows that business start-ups have jumped 51% over the last couple of years. More than 200,000 businesses have been set up in the last year alone. Remarkable, you’re probably thinking. Where did they get the money? Well, there are some serious tax breaks for anyone investing in a start-up business in the UK. If you’re one of the many people starting a new business then you should know about the Enterprise Investment Scheme (EIS). According to HMRC “It is designed to help smaller higher-risk trading companies raise finance by offering a range of tax reliefs to investors who purchase new shares in those companies.” The aim of the scheme is to get money into new businesses. I’ve also heard it described as a finely honed tax avoidance scheme to get investors to part with their money, though many investors completely miss it. The tax man will pay you back 20% of whatever you put in (you can claim it on your tax return) but you’ll have had to have paid tax in the first place. The maximum you can claim is £100k, though you can use last year’s earnings too (so you can double that). When you come to selling your stock you won’t pay Capital Gains Tax (CGT); with this being a high risk, high reward deal that may come in handy. Now if you’ve just made a load of money and have a CGT bill to pay, things get better still. You can put the bill on hold by investing the cash into an EIS. And as well as that, if in the end your investment goes sour, and let’s be honest, there’s a fair chance of that, you can count the loss against your income tax bill, not just against your CGT bill (which is the norm). That’s worth having! There are rules of course: you have to hold the shares for 3 years before you can sell them (to keep the tax advantages). You can’t just claim your tax break and then simply sell the shares. Remember, the idea here is to attract new money from investors. You can’t just set up your own business and get all the tax relief. But if you’ve got a friend that’s looking for an investor, you can buy up to 30% of the business and still get the tax breaks. This can be a great model if a group of you are looking to start a new venture. But directors and employees won’t get the tax advantages, it’s for investors only. Oh, and immediate family of a director/employee can’t get the EIS breaks, in case you were thinking about getting round the rules that way. You can find all about it in detail here. Gas prices up 7% but gas bills down 13% ??? Last week, British Gas announced price rises of 7% for its gas and electricity . The price rise is effective from Dec 10th. This follows the Scottish & Southern Energy rise announced in late October. Their increase is 9.4 percent starting 1st December. You can avoid paying these increases by insulating your home. Installing cavity wall insulation will turn a 7 or 9% rise into a 13 or 11 % decrease. To get cavity wall insulation, call your energy supplier or talk to Act on Energy, your local energy efficiency advice centre (Wellesbourne) on Freephone 0800 988 2881. Getting cavity wall insulation is as easy as picking up the phone. It costs from a £100 to £300 depending on the size of home and will pay for itself in about 18 months. Thereafter, the savings continue year after year and they do add up as you will see later. Act on Energy has a list of suppliers of cavity wall insulation so give them a call, get a couple of quotes, choose an installer and beat those price rises. Look at the effect on gas consumption in this detached house in Henley when cavity wall insulation was installed in 1989. Average consumption has fallen from nearly 50,000 units a year to under 40,000 units a year. Savings at current gas prices are about £360 a year – or over £7,000 since the insulation was installed. And 47 tonnes of CO2 pollution have been saved over the same period. For a typical 3-bedroom semi, savings will be smaller – about £120 a year at current fuel costs. But cavity wall insulation for the semi only costs £100-150 – and is usually free for those over 70 or on certain benefits. Make that phone call and start saving. Freephone 0800 988 2881. CHURCHES TOGETHER IN HENLEY. All the churches in Henley are represented at regular meetings. At the last one in October preparations were made for a series of meetings for ADVENT as we prepare for Christmas. These start with a united Candlelit service at St Nicholas Church in Beaudesert Lane at 6 pm on SUNDAY NOVEMBER 28th. Tea and Cakes will precede the service from 5pm in the Parish room next door. There will be three united Advent meetings on Tuesdays November 30th and December 7th and 14th in the Methodist Church. 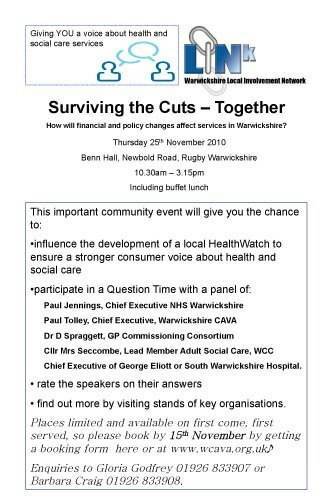 They start at 7.30 led by three different local Ministers and will be followed by refreshments in the hall. Come and prepare for Christmas with us, all are warmly welcome to one or all of these gatherings. TOYS FOR THE BIRMINGHAM CITY MISSION will be brought by members of the congregation to the 10am service at St John's on DECEMBER 5th. These will go to disadvantaged children in Birmingham and be distributed by THE BIRMINGHAM CITY MISSION. Over 2,500 toys for children aged from 0-15 are given to over a thousand families in 48 of the 76 Birmingham postal districts. If you would like to help please bring toys, small and unwrapped and new or nearly new, to the service or leave them at the back of St John's from Dec 1st. There is a notice in the Church porch giving more details on appropriate items that can be distributed. 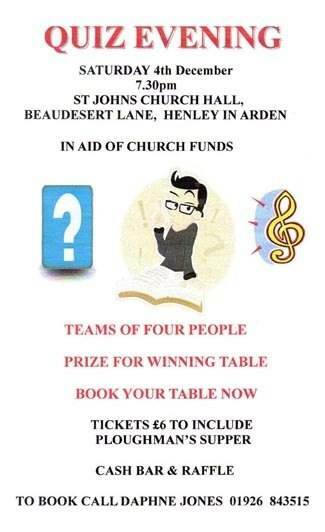 QUIZ EVENING Saturday 4th December at 7.30pm to be held in St John’s Church Hall, Beaudesert Lane, in aid of Church Funds. Tables of four people. A prize for the winning table. 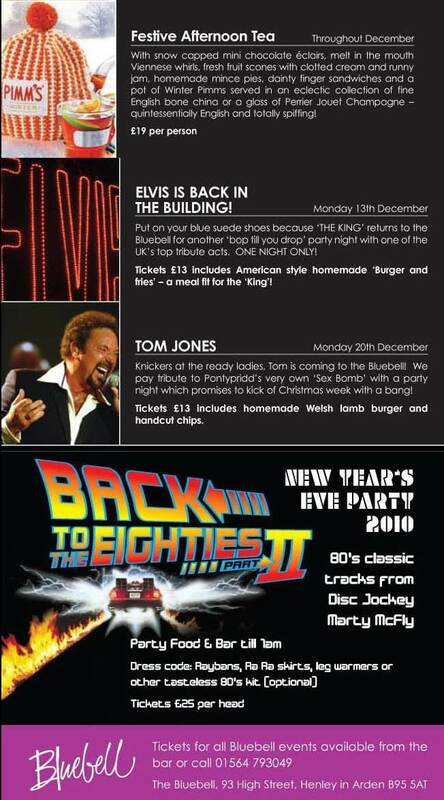 Book your table now. 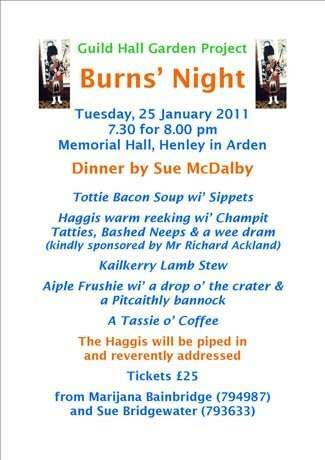 Tickets £6, to include a Ploughman’s Supper. Cash bar and raffle. To book call Daphne Jones on 01926 843515.
HENLEY WI AGM followed by refreshments. November 2nd, 7.30pm, Memorial Hall. HENLEY WILDLIFE SOCIETY Laurence Kimpton will be talking to members on Antarctica on Tuesday November 16th in the Baptist Church hall. 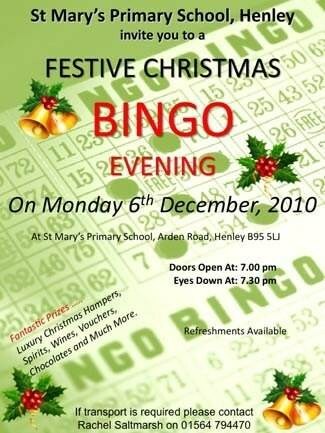 Visitors are welcome to come along and join us from 7.45pm for only £2.00. THE HENLEY AND BEAUDESERT SOCIETY Thursday 18th November in the Baptist Church Hall 8.00 pm. 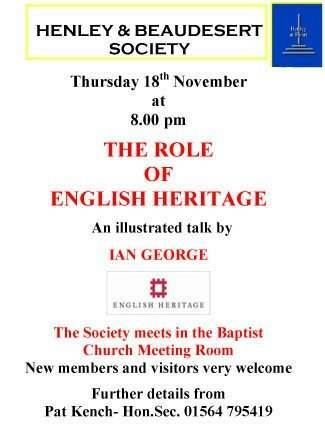 Ian George will give a talk on 'The Role of English Heritage'. Further details from Pat Kench on 795419. 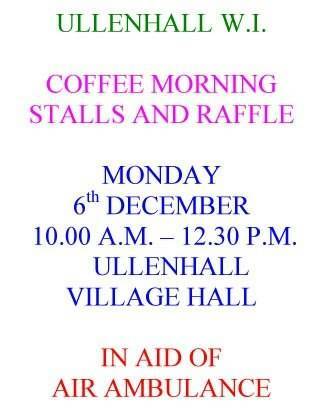 ULLENHALL GARDENING CLUB 23rd November, Ullenhall Village Hall. Tony Russell. Writer and broadcaster (head gardener at Westonbirt) will talk on Spetchley Gardens. Visitors welcome (£3). 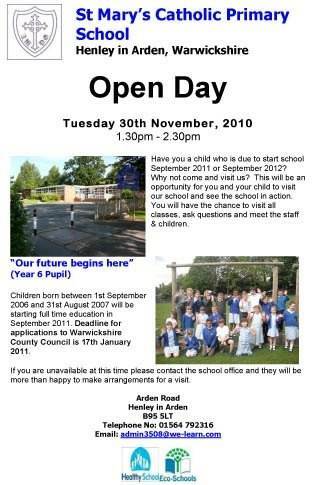 For more details contact Margrit Johnson 01789 488209.